With a fully outfitted jewelry workshop, and a goldsmith with decades of jewelry repair expertise, we are ready to help you with all of your jewelry repair needs.We pledge to do our utmost by using our 30 plus years of experience towards every single sizing, resetting, chain soldering, or any other repair. We are competent to work in all precious metals including sterling silver, gold, and platinum. All work is done in house, and is normally completed within 24 to 48 hours. 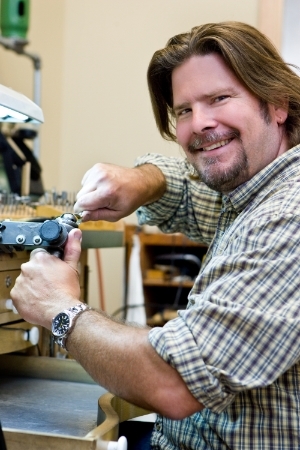 At Mark Michael Diamond Designs we have over 30 years of jewelry manufacturing and jewelry repair experience. We work in all precious metals including sterling silver, gold, and platinum. All work is done in house, and is normally completed within 24 to 48 hours. *Due to their specialized nature these watch repairs are completed by an expert watch repair affiliate off-site.